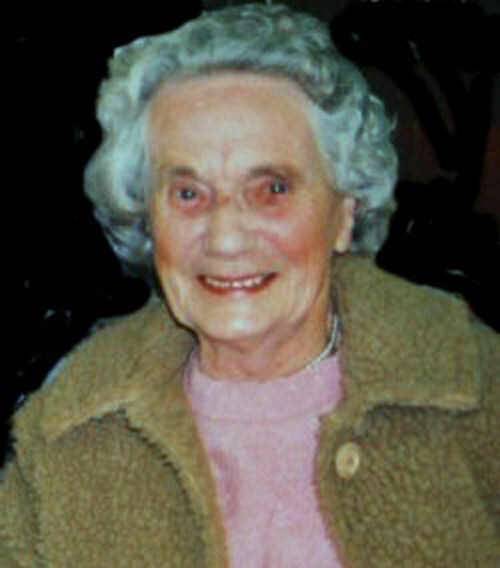 Sadly, Miss Laurie Hollands died in June 2006. She was the last of the ‘old village’ community. Although Laurie had humble beginnings, she was always a real ‘lady’. She kept her small Ovingdean bungalow as clean as a pin, and when I visited her I was always treated to small homemade cakes and the best china. To the end of her days she maintained the good manners and standards she had been taught at the beginning of the last century. She is very much missed. “During the war, I was in the WRENS I signed up in about 1941, and I was at Roedean when the Navy took it over. I was a steward and I waited on the Petty Officers. I enjoyed it but I don’t think I would have liked to be in the services in peacetime. The Army had been the first there – I remember one of the naval chaps told me it was in a shocking state when they took it on – they had to take several weeks to make it clean enough to come into. I remember we used to play football with the sailors in our break-time. One girl was younger than me but she used to say to me ‘Come on I’ll help you to get finished’ and then we used to go out and chat with the sailors. In the war, I always remember Mother being in a queue for sugar and then when it got to her turn it had all gone. I remember once she bought a piece of what she thought was beef and when she brought it back and went to cook it she said ‘Oh no we can’t eat that’ she thought it was horse meat – it had all yellow pimples in it – I don’t remember what we had instead but Mother never cooked it. I remember in the war there was a cottage up by Ovingdean farm that belonged to the school; that was bombed flat in the war. It was an elderly couple who lived there and they had two evacuees from London and they had only been gone out of it a week and it was flattened to the ground.